A Healthy diet is important for receiving vitamin D’s cofactors. 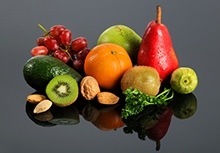 Nutrients act in a synergetic way in the body. Absorption and metabolism of a particular nutrient will be affected, to a greater or lesser degree, by the other nutrients available to the body. This is also true with vitamin D.
In order to receive the most health benefit from increased levels of vitamin D, the proper cofactors must be present in the body. Vitamin D has many cofactors, but the ones listed below are the most important. Magnesium should be considered the most important one of all. I like this site! This is one of the most well written articles I’ve read today.